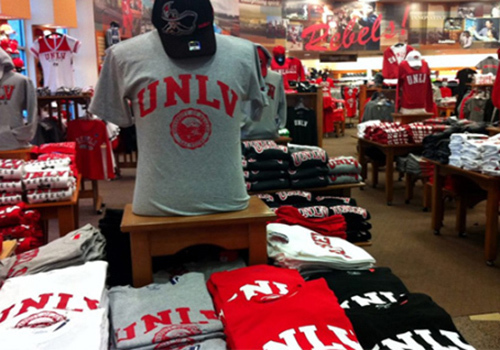 As higher education evolves, the role of the campus bookstore has become even more important. 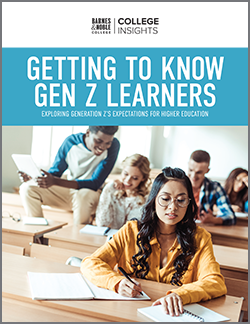 Campus stores must continue to manage the traditional business while also transitioning to keep pace with changes in higher education. Russell Markman, Barnes & Noble College Vice President for Campus Relations, recently presented on the future of the college bookstore at the 2013 NACAS West Annual Conference, in Las Vegas, Nevada. The three-day meeting, designed to help members make the “connections that count,” was held at the University of Nevada, Las Vegas (UNLV) and was presented by the West Region of the National Association of College Auxiliary Services (NACAS). The 2013 Annual Meeting, entitled Some Vegas, All Business, united leaders of ancillary services organizations from around the globe for collaboration and the sharing of best practices in the service of higher education. This year’s keynote was given by Kevin Kruger, President and Associate Executive Director of the National Association of Student Personnel Administrators. Kruger stressed the importance of relationship building between student affairs, campus auxiliaries and faculty members. 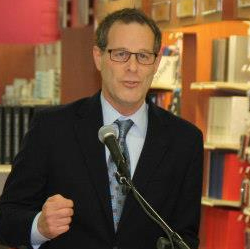 Barnes & Noble College Vice President for Campus Relations Russell Markman. A dedication to work closely with campus partners is the driving factor in shared success. Acting as a strong advocate for an institution’s academic mission creates an exceptional experience for students, faculty, alumni and the community at large. 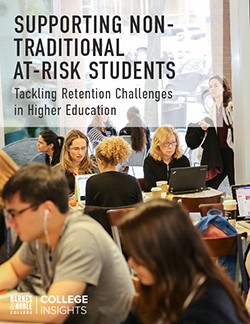 By working together, bookstores and the colleges they serve can capitalize on new opportunities to expand the school’s brand while also cementing the bookstore as a key social and academic ally on campus. With rapid shifts in retail trends, cutting-edge technologies, changing consumer behavior and more, the bookstore can provide students and faculty a retail and academic experience that drives loyalty and valuable revenue for its school. Founded in 1969, NACAS is the largest auxiliary services support organization serving higher education. With members from colleges and universities throughout the United States, Canada, Ireland, Jamaica, Lebanon, Qatar and Australia, NACAS offers extensive opportunities for members to “share ideas, develop business solutions, enhance programs and revenues, and develop meaningful professional relationships.” U.S. members of NACAS West include institutions in Alaska, Arizona, California, Colorado, Hawaii, Idaho, Montana, Nevada, New Mexico, Oregon, Texas, Utah, Washington and Wyoming. The West Region also incorporates international territories, such as Australia, Canada, Guam and New Zealand.